Help fund youth fishing opportunities at Ottawa National Wildlife Refuge. Our goal is to raise $17,000 to complete the ADA accessible concrete fishing trail. Last fall, we introduced you to three new refuge projects that we are working to fund in 2018. With your help, the Helle Unit fishing access point and the Turtle Creek Unit kayak/canoe launch are fully funded, and will be completed soon. 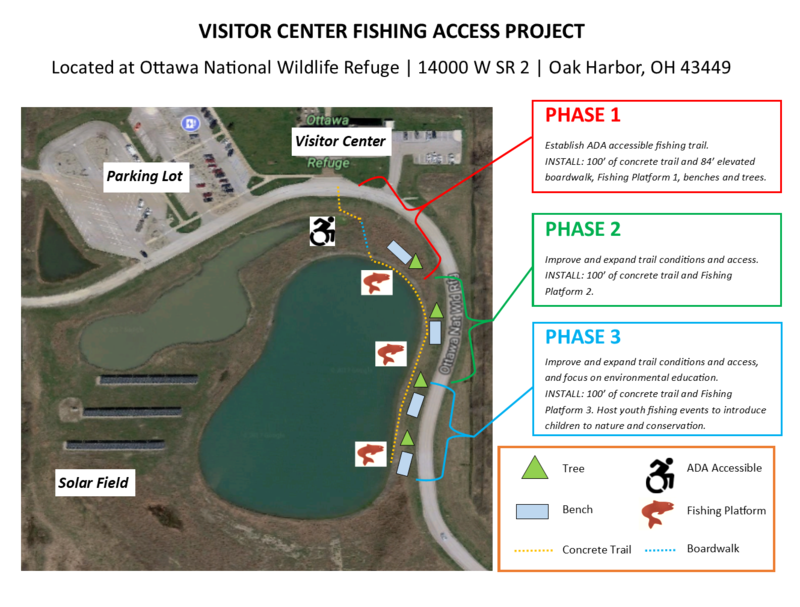 Now, we are focusing our efforts on the Visitor Center fishing access point, which will be an accessible youth fishing trail that will provide great opportunities for environmental education at Ottawa National Wildlife Refuge. Help lay the groundwork for the environmental stewards of tomorrow. Donate now.